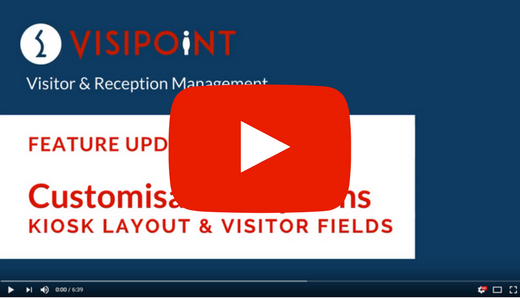 Customising your visitor management system has become even easier with our latest update to the VisiPoint visitor management software suite. We’ve listened to your feedback, and are providing customisation options in our latest roll-out along with a few nifty extras that will make the sign-in experience even easier for your visitors, staff and contractors. We’ve also added a little ‘Not from Company’ tickbox for any visitors that are not associated with a company for their visit – perhaps a family member – so they can bypass the company field. You’ll find a new report in your VisiPoint we dashboard which easily shows you which staff members have not signed in for the day. Need to check who’s not around? Just hit the ‘staff not on-site’ button in the upper right-hand corner of your daily logbook and the report will generate in seconds. These icons will display in green if these elements are functioning as normal, but will flick to red if there is an error with the connection. Streamlining the process of diagnosing any errors, this will make it much easier for the support team to help you fix any connection issues. Look out for the red home icon that’s new to the touch screen terminal. You’ll find it appears at the bottom left of the screen as a user begins the sign-in process. It makes it quicker for users to quit the sign-in process and navigate to the home screen. You now have the option to delete or change the photo stored against any profile, just by accessing any visitor or staff profile from the web portal. Have your staff photos been updated? Just change the photo on record in a few clicks. As a visitor signs-in and they come to select the host for their visit, their three most recent hosts from their last visits are displayed before the search results. This is just another little shortcut which makes VisiPoint visitor management even more user friendly and intuitive. Thank you to all our lovely customers that have helped us come up with these amazing new features. 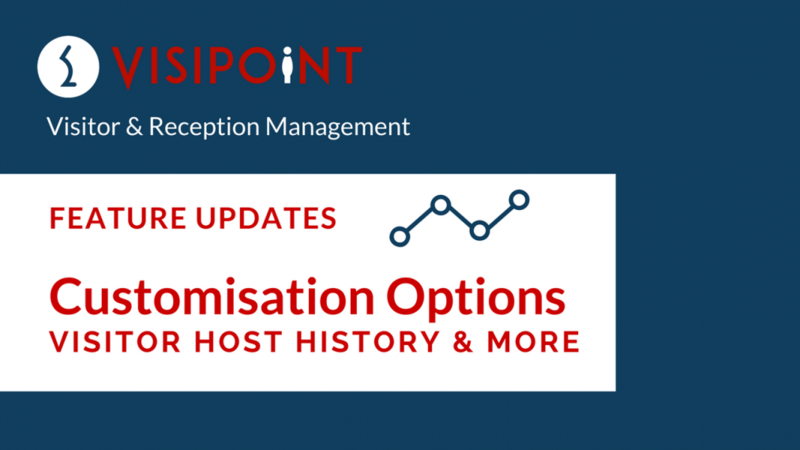 We want to continue to provide you with the best visitor management system, ever. If you’d like to give us some feedback or suggest a new feature, please email us on: techteam@lamasatech.com. We’d love to hear from you!